Illustrated in 'Twilight' granite, this stunning memorial has beautiful hand carved lilies (representing purity and immortality). 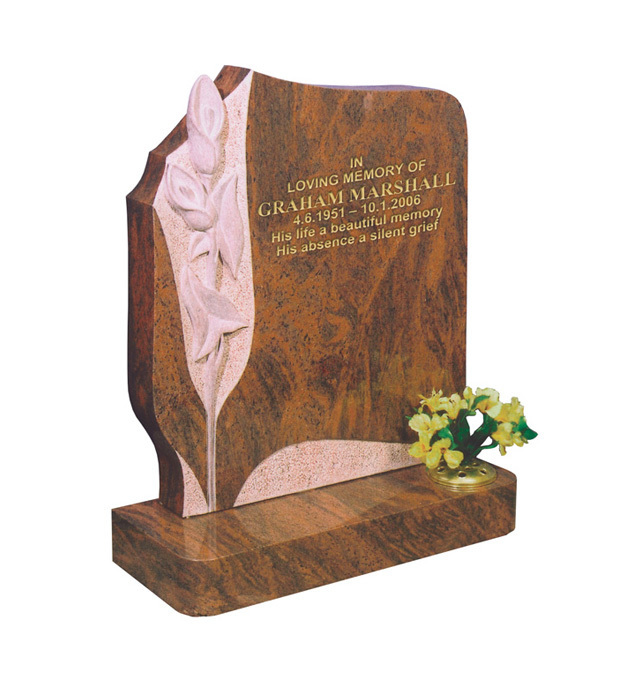 This unusual shaped memorial has an all polished low maintenance finish. Trade customers please log in to view Marshall purchasing options.